Professor Jarboe received his undergraduate degree in Engineering Physics from the University of Illinois in 1967. He worked a short time for Olin Matheson in East Alton, Illinois and then pursued a doctoral degree at the University of California, Berkeley. In 1974, he received his Ph.D. in plasma physics. He then joined the controlled fusion research division at Los Alamos National Laboratory. He served as group leader from 1983 to 1989 where he studied a very attractive magnetic fusion confinement device called the spheromak. He spent one year beginning in 1985 doing the controlled fusion research at Culham Laboratory in England. 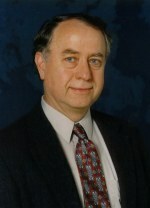 He came to the University of Washington in 1989 as Professor of Nuclear Engineering and joined the Department of Aeronautics and Astronautics in 1992. He is a fellow of the American Physical Society.